A recent nationwide study conducted by Longmire and Company of nearly 5,000 prospective college students and parents showed that 53 percent reported that their decision to enroll in a given school was heavily influenced by the level of service they received during the “college shopping” process. The study found that poor service delivery, across any brand touch point, often outweighs other important factors, including strength of academic programs, faculty reputation and even the financial aid. Students and their families believe that the type of service they receive during the college selection process is indicative of the overall culture of the institution; i.e. poor service during pre-enrollment will mean poor service throughout the student’s college career. We know that impressions are formed from the first moment of contact with a prospective student and span across all brand touch points including every department, staff member, faculty member and even other students. 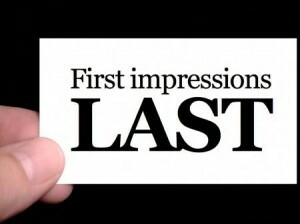 What we didn’t know was just how critical those first impressions are. The study shows that a single bad experience can be the catalyst for completely derailing the prospective student’s original enrollment plan. Moreover, the study concludes that offering great pre-enrollment service will not only “save” enrollments but it is also one of the best possible ways for a college or university to differentiate itself in today’s competitive environment. The goal is not only to meet expectations but to exceed them. Here is a reality check for higher education: A college education may be the best money ever spent but it is still a “purchase” in the minds of prospective students and their parents. Successful colleges recognize that today’s prospective students (and their parents) are very savvy consumers. Leaders of some of the nation’s best performing educational institutions are modeling the “customer-centric” approach of other top service industries by providing the extraordinary level of service that one would expect to receive when making any other high dollar investment. Do prospective students and parents see and experience your commitment to service? High Point University in North Carolina is one example of a college that has implemented several initiatives to provide prospective students with exceptional levels of service. By employing numerous “concierge” desks around the campus the university has eliminated the intimidation factor and made their beautiful campus uniquely welcoming and student focused. Current and visiting students use the concierge services for a wide range of issues and services that include scheduling tutoring sessions, checking out a Kindle or iPad to download an eBook, reserving tickets to various campus-based events, library book return, dry cleaning service, arranging transportation services and even automated daily wake-up calls. Is your entire campus community (staff, faculty and students) on board? Earlham College expects their entire campus community to serve as ambassadors to prospective students. How do they make that happen? By communicating the culture of Earlham and asking everyone to reflect it to visiting prospective students and parents. They make their guests easily identifiable by providing visiting students and their families a bright red folder. Everyone on campus, from the cafeteria staff and groundskeepers to the faculty and students, are aware that they should offer extra attention and assistance to anyone carrying this folder. Are problems identified and quickly addressed? Given that one in ten prospective students reported experiencing difficulties during the college selection process (many of which were never satisfactorily resolved) colleges should implement a system to address issues and problems as they arise. A campus ombudsman offering a single point of contact for any question, comment or complaint can be golden for your university as well as for the benefit of prospective students. Imagine the power of being able quickly identify and resolve your problem areas throughout the institution. And, imagine the impact on a prospective student and parent when the campus representative follows-up with them to ensure a satisfactory outcome. The study showed that this one action alone can save lost enrollments. Certainly many of the admission offices we work with make valiant efforts to fill this role but the study underscores that this issue belongs to the entire institution and should not be the sole responsibility of any single department. Building an institutional culture is a top-down process with the starting point being the college president. On-campus workshops should be held for all personnel regarding what it means to be committed to the service experience, and how this philosophy can be embedded in interactions with not only prospective students and their families but with the college community as a whole.